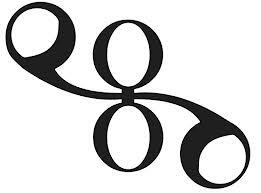 “Ego” is a Latin and Greek (ἑγώ) word meaning “I“, often used in English to mean the “self”, “identity” or other related concepts. In a broad sense, the ego is our self-image; who and what we view ourselves as. Ego is that part of you that defines itself as a personality, separates itself from the outside world, and considers itself a separate entity from the rest of nature and the cosmos. 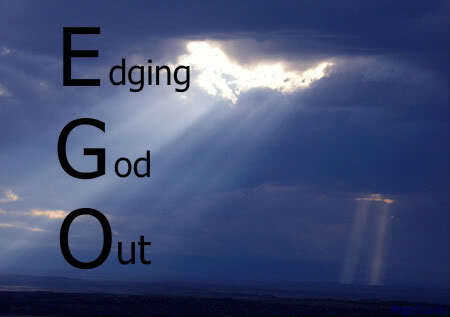 So what exactly is Ego? Where does it come from? Is it possible to get rid of it? 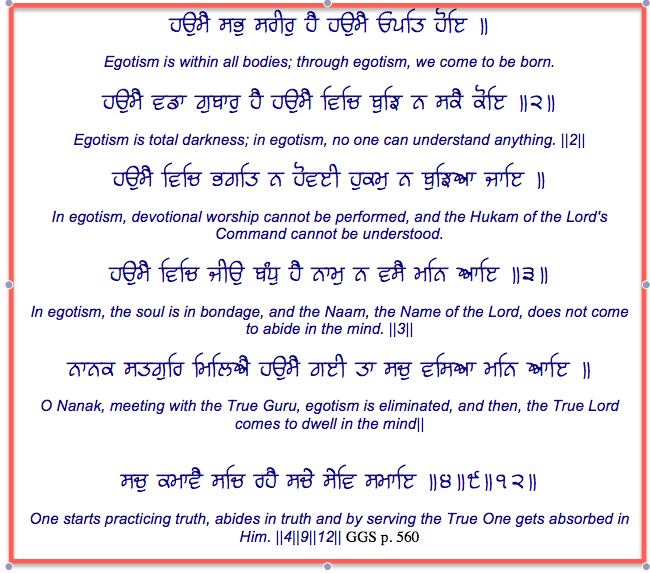 Bauji explains in his Gurbani Vichaars 9 & 10 on Ego (haumey) that just like darkness cannot exist when we turn on the light, ego too does not really exist if we take a closer look at it so let’s begin by doing just that. It is actually easier to feel the ego than it is to understand it logically. For example if you are doing something and someone comes and corrects you and you feel offended, you have an ego problem or perhaps someone calls you stupid and then walks away. Even though you haven’t been physically hurt and your life hasn’t changed you feel angry or upset because your ego has been challenged. Let us take another example; imagine a friend that you know you were planning to go out with but suddenly he or she declines your offer and instead chooses to go with someone else. You might get upset, even though the only thing being attacked is your expectation of what “should have been” and your image of yourself. In all of these scenarios, nothing really happens – and yet most of us would probably experience great emotional pain. This is because all of us are deeply invested into our egos and the expectations that come with it. When reality interferes, resistance – the source of all mental pain – enters our lives. Our ego basically dictates what “should be” based on who we think we are. Basically, all our hopes, expectations and predictions are based on past experiences and are all extensions of who we view ourself as. What we want and expect and what happens in reality are often two very different things. The resulting gap creates resistance (ego). Expectations: Expecting something to happen or a certain behavior from someone and when it does not happen, becoming disappointed, sad or angry. Challenge: Feeling threatened (competition) by something or someone (even family members) resulting in anger or disappointment. Jealousy: Yearning for something that someone else has and feeling sad, hurt, anger or disappointment. Attention seeking behaviors: Demanding recognition for something you did and getting angry or upset if you do not get it, trying to get attention by talking about your problems or giving your opinion when nobody has asked for it, wanting to be seen or appear important. Impressing others: Being more concerned with how others see you (ego enhancers), trying to impress others through possessions, knowledge, skills, abilities, good looks, physical strength and so on. Whenever we compare, judge and resist – whether it is a person, a situation or our self – our ego is strengthened. We, on the other hand, are weakened and eventually must pay the price in pain. All pain comes from the resistance created by a gap between the ego’s wants and reality. 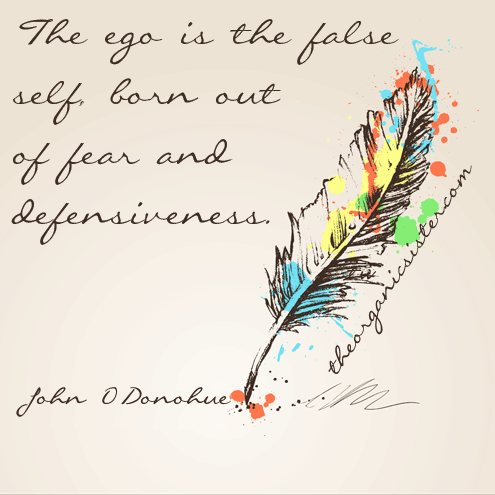 Our Ego is responsible for all the hatred, fear, and delusion in our world. If we were to accept everything that happens to us as Divine Will, we would not experience these mental emotions that eventually result in creating diseases like High Blood Pressure, Diabetes, Cancer, blocked arteries etc. Nowadays, many educators think it is essential for young people to create positive self-images as a defense against the negativity they so often encounter. 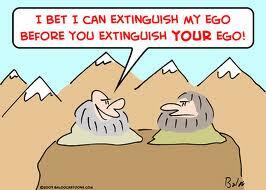 As a result we might think that the ego is necessary for our survival. If we don’t have a self-image, how can we have a sense of identity? If we don’t have hopes and expectations, what could possibly motivate us to do anything in life? Perhaps it was necessary for survival in some evolutionary bygone, in modern times it leads only to misguided delusion. The word “ego”, as it is mostly used in religious and philosophical discussion, is not identical in meaning to “self-image”. You can have a self-image without having an ego. The self-image becomes an “ego” only if the self-image becomes exaggerated and inflated. There is nothing wrong with loving yourself. It is absolutely essential that you treat yourself with as much respect as you treat others. The moment, however, you love yourself excessively to the exclusion of others; you have become the victim of your own ego. Bauji used to say, “Haumey nu patheh na pau” – which means don’t be instrumental in feeding someone else’s ego. We all have enough issues! It is okay to be ambitious, but to be “overambitious” implies that you love yourself so much that you would try to realize your ambitions to the detriment of others. The best athlete wants his opponent at his best. The best general enters the mind of his enemy. The best businessman serves the communal good. The best leader follows the will of the people. All of them embody the virtue of non-competition. Not that they don’t love to compete, but they do it in the spirit of play. In this they are like children and in harmony with the Tao. 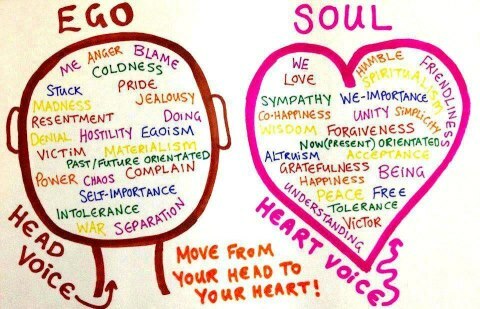 How can we get rid of our ego? Is it even possible? The Ego is not an “evil”, it’s just a movement of energy that got created out of delusion. The ego starts creating suffering because of its movement of clinging or attaching to forms, because it gets its identity through its attachments or possessions. It feels insecure because it constantly needs validation for its survival. 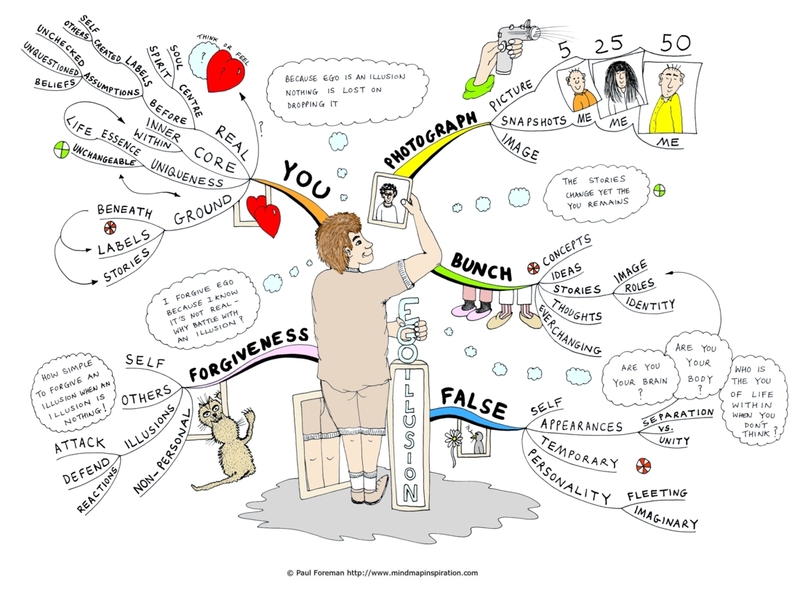 Instead of fighting the Ego, or feeling guilty about it, what needs to be done is to see through its “falseness”. Once you recognize that the ego is just a “pattern”, which is not permanent or real, you automatically free up identification from it. It requires a lot of patience and hard work, recognising the Divine Will and remaining in tune with it, some time (a few months in some, a few years in some, a few life times in others), before you can be totally free of being pulled in by the Ego . Let go of the guilt, let go of your judgment, and witness the patterns from a place of compassion, only then will you become free of its influence. Becoming free of the Ego is not a battle; it’s a movement of love and there is no set formula. Once you know which direction to go, you have to walk every inch of the way yourself. Keep in mind at all times that we are not human beings having a spiritual experience. We are spiritual beings having a human experience. Anything you “allow” completely, you will transcend completely. Anything you resist will persist. These words point to the core of what “letting go” is all about. You will notice several “dark” patterns come up while you start seeing through the Ego. Avoid competition and the need to feel superior than others; ” True nobility isn’t about being better than someone else. It’s about being better than you used to be. Stay focused on your growth, with a constant awareness that no one on this planet is any better than anyone else… “. Let go of your need to be right; “let go of this ego-driven need to be right by stopping yourself in the middle of an argument and asking yourself, Do I want to be right or be happy? When you choose the happy, loving, spiritual mood, your connection to intention is strengthened. Let go of your reputation; Your reputation is not located in you. It resides in the minds of others. Therefore, you have no control over it at all. If you speak to 30 people, you will have 30 reputations… If you’re overly concerned with how you’re going to be perceived by everyone, then you’ve disconnected yourself from within and allowed the opinions of others to guide you…Do what you do because your inner voice always connected to and grateful to your Source-so directs you… Leave your reputation for others to debate; it has nothing to do with you. Or as a book title says: What You Think of Me Is None of My Business!